Is there a doctor in the house? 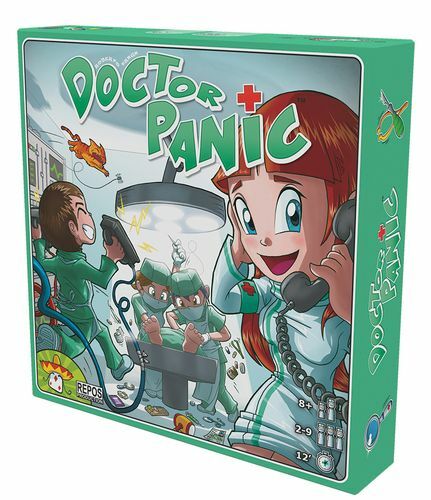 Take your place the wackiest hospital you've ever seen in Doctor Panic, a dexterity-based, cooperative real-time game for two to nine players. You don't need a medical license to play, but it might help-you and your team are going to be working against the clock to save a patient's life. It won't be easy, but you've never given up on a challenge and you're not about to start now! In every game of Doctor Panic, teams of up to three doctors follow a soundtrack and work as fast as possible to complete their medical tests. Each game lasts only twelve minutes, but you'll need every second to use your medical gear to complete the various procedures and save your patient.